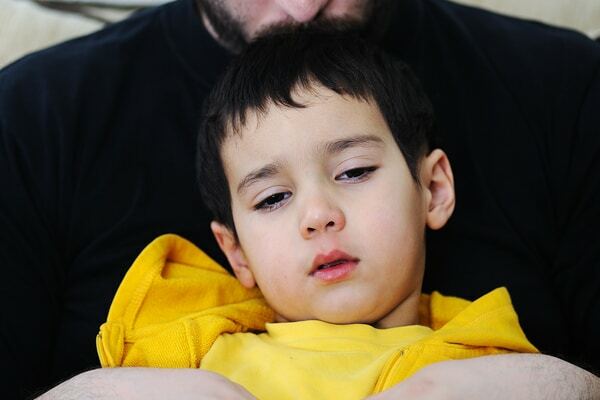 Cold accompanied by a cough is common in babies. But parents feel helpless. Babies don’t have immune like grown-ups. Sickness gives a poor appetite which leads to lack of nutrition. Babies are at a growing stage & they definitely need proper nutrition in order to be healthy. Inadequate nutrition might make your babies health as well as immune weak. As a result, a baby’s natural response against infection will slow down. Even a common cold & cough needs attention because continuous coughing can cause irritation in the throat. So we should not ignore any sign of sickness in our baby. If you are a parent you should always diagnose & treat your baby as soon as possible as an acute disease can turn into chronic. Treating any disease at its initial stage is best because the recovery will be fast. Here are 31 home remedies to treat cold and cough in infants. But before getting to the remedies we need to understand which type of a cough is your baby facing. A cough is not a bad thing, its natural body response. Our body produces a substance known as “MUCUS”. Mucus is a useful & essential thing for our body. Example: Our stomach secretes HCL Acid for digesting food, but don’t you think this acid can damage our stomach? The answer is “NO”, Mucus glands are present in our stomach lining which prevent any damage from Acid. Mucus is present in different part of our body. Sometimes our body produces mucus in an excess amount. Our body tries to remove this excess mucus which might block breathing passage & result in coughing. There are different types of a cough which we should identify. A dry cough is usually because of common cold which can be easily identified. If your child coughs but there’s no mucus coming out, this can be a dry cough. Whopping cough is similar to dry but here baby finds it difficult to breathe. This results in a Whooping sound. Wet cough is better than other types of coughs because here the excess amount of mucus gets out. When your baby has a wheezing cough, you can hear a whistling sound when they breathe. This is because of clogged airways or trachea being narrow. Cold & Cough can be treated or at least controlled with the help of home remedies. These home remedies are really effective & can make your baby comfortable. None of these remedies are expensive. So let’s tune to the list of remedies. For a newborn baby under 6 months of age, breast milk can be an ideal remedy as well as food for a baby while he is sick. Breast milk contains antibodies which can boost up your baby’s immune system. A stronger immune means lesser prone to diseases. And, check whether your baby is congested, prevent congestion. Barley water is another remedy for over six months’ old infants. It can cure a cold, fever & cough. But you need to check whether your baby is allergic to gluten or not. Parents should pay attention to this caution. This remedy is suitable for babies over six months. Rice water or gruel can treat a cough & cold because of its warm & easily digestive nature. This can boost the babies immune which will help his/her body to fight against diseases. Water diets which are warm are best for curing a cold & cough. Apple Sauce is easy to digest, being a liquid. While a baby is sick, their body may not digest solid food. So for this instance, Apple Sauce or stewed apple can help you. Being a liquid this also keeps your baby hydrated. Pomegranate juice is excellent as it is full of antioxidants. Antioxidants are also present in Apples. Pomegranate Juice with few added things like pepper powder (a bit) and dry ginger can cure a cold & cough in babies. However, this is recommended for babies above 6 months. Carrots are not usually available 365 days but their medical uses are quite famous. Eating carrots increases immunity & its properties can cure eye related problems too. However, babies cannot munch carrots, for making it suitable for babies steam & mash the carrots. Just make a pure soup of it. The baby may not like the taste but this remedy can get things back on level terms. It is suitable for babies over 6 months. This remedy is suitable for baby’s at least 6 months or older. Sweet potatoes are nutritious & enhance immunity. There’s a unique ability in sweet potato “Production of WBC (White Blood Cells). You can mash sweet potatoes or convert it into porridge state. Curd Rice is only for baby’s at least 8 months aged or older. Feed your baby with curd rice with few extra ingredients like ginger & cumin seeds. You can feed this curd rice whenever your infant is ill. However always check that the curd is at room temperature. The curd should never be too cold or sour in taste. Honey is a well-known home remedy for many diseases. Full of anti-microbial agents, honey can help your baby fight against cold. The taste of honey is sweet so your infant might not deny it. Also honey helps in the production of saliva which can result in thinning of mucus. But honey is appropriate for babies who are at least 1 year aged. Take one tablespoon, honey, & add it into lukewarm water. Squeeze fresh lemon which should not have patches or something like that. Mix it well & let your baby sip it. Whenever someone gets cold or a cough, the most common advice is to drink ginger tea or ginger made things. Ginger is having a lot of antiviral properties accompanied by a strong taste. This is also recommended for babies above 1 year. The procedure is quite simple, mix a 1/4th teaspoon of crushed ginger with a 1/4th teaspoon of cayenne pepper. Add 1 teaspoon of honey & water (2-3 teaspoon). Give this homemade syrup regularly to your baby twice a day. Twice a day is pretty safe for infants of 1 year or near. Milk plus turmeric is a popular combinational remedy. The combination can cure cold & cough as well as injuries. The remedy can cure dry throat, acting throat & even runny nose. The best remedy to cure a dry & whooping cough. Here you just need to add turmeric powder in warm milk & serve it every day to your infant. Turmeric can cure viral infections & internal harms too because of the presence of the antiseptic property. Looking at the name don’t be scared, Vinegar! Apple Cider Vinegar is a normal thing full of anti-bacterial properties. It can kill pathogens in the body, so disease caused by the mosquito can be cured by Apple Cider Vinegar. The best remedy for a dry cough. There are 2 methods to use it, make a syrup or breathe it. To make syrup, add a combination of ginger & honey (1/4th teaspoon each) in Apple Cider Vinegar. The second method is to dab a pillowcase in Apple Cider Vinegar. This allows your baby to breathe the scent of Apple Cider Vinegar that can cure cough issues. Best for wheezing cough because ACV can make throat wider & ensure proper breathing. Garlic & Ajwain Pouch is very a powerful medicine which is full of anti-bacterial properties that can kill Virus & bacteria. The procedure is quite simple, roast 2-3 big garlic(cloves), few pinches of Ajwain roast on tawa or pan (a bit less than 1 minute). You can smell this powerful mix, let it cool down. Once the mixture has cooled down, keep it near your child. The smell can heal cold & cough. This remedy can be used for 6-7 months child. Steam is a natural way of treating cold & cough. The procedure is easy & opens blocked nose, chest congestion & cold. However, for infants, the steam should never be proper. Prefer a little steam which is just warm or lukewarm. And, have your baby bathed with warm water. Or make your bathroom steamy by running hot water tap for a few minutes. Everyone would be probably aware that covering core parts of the human body can produce warmth in the body. People cover their ears during winters to feel warm. Similarly covering head with a cloth, chest with a sweater or something like that & feet with socks will definitely warm your baby. Warm temperature will surely treat cold & cough. This might be a bit slow process but is absolutely safe. Babies find it difficult to breathe during cold & cough infection. Not keeping their head elevated makes it even more difficult. Keeping their head elevated using pillow will reduce their difficulty & discomfort. Coconut oil is considered great for hairs & tulsi for its healing properties. To make this herbal oil you need to warm up coconut oil, add some tulsi leaves. Massage this created oil on baby’s chest (before bedtime). You can also use this oil for hair massaging your baby. Essential oils are made up of concentrated hydrophobic liquid which is extracted from plants. EOs are made using roots, stems, leaves, flowers or mixtures. Don’t go for fragrance essential oils because they are synthetic ones. Natural essential oils are best for cold & cough. Few recommended ones are Sandalwood, Ginger, Melaleuca, Clove, Peppermint, Thyme, Rosemary, Cedarwood, Lemon, Eucalyptus. Babies are attached to their mother & they feel more comfortable near them. They usually cry but calm down in their mom’s arms. Well, mom’s direct skin to skin contact with the baby can have great results. Babies respond better to their mother, so hug your baby closely without any cloth between you. Massaging is an ideal remedy for cold & cough & it helps in fever too. Give your child massage using Dilute Lavender Oil, Coconut oil or mustard oil. You can also use Olive oil because the oil is smooth & can heal any physical injury if any. Massage your baby head to toe. Mustard Oil is well known for its medical usage & power of strength. The oil is widely used in the Northern part of India. This remedy can cure a cough & congestion in your baby. Take a pan, 1-2 garlic cloves & mustard oil, simple heat the oil. Remember the oil should be lukewarm. Massage this oil mainly on baby’s chest & feet. Oil’s warm & smell will give your baby relief. Not so well known remedy in India, but usually used in South India. The remedy is used to cure a sore throat, chest congestion, nasal block, cough & cold. But for this remedy, you will need panikoorka leaves. Take 1 cup of water & boil these leaves for 5 minutes. Let the juice cool down. Feed 1 tablespoon of this water to your baby. Panikoorka leaves are used for many diseases & adults can also use it. Humidifiers are a device which can convert dry air into moist one. Get a humidifier & place it in your baby’s room while bedtime. Just remember that Humidifier needs to be cleaned every day because of its matter of child health. The human body is adaptive to the situation & our body keeps on healing itself. The healing process is on top level while we sleep. Same applies for babies; their body will also heal while they rest/sleep. Don’t prefer to travel when your baby is facing cold & cough. Giving your baby adequate rest is the best remedy. Engage your baby in different interesting activities & spend time. Germs can spread easily because their growth rate is insane. So keep your home & surrounding clean. Never let your relatives or someone else touch your baby if they haven’t cleaned their hands. Hands are having a great number of germs & that’s why people recommend not to eat while using a keyboard (or typing). Advice your relatives to clean their hands with medicated hand wash before touching your baby. Yes, it seems to be rude but embarrassment is better than regret. Making a soup isn’t a big deal. Warm soups can help loosen the mucus & make breathing passage comfortable. You can use soups for inner warmth & steam for the nasal opening. Do not buy products like Knorr cup soups or other soups because they contain preservatives. It’s recommended making vegetable homemade soup rather than trusting a product. Home remedies are good but giving them a medicinal support can cure it sooner. But opting for syrups & medicines is recommended after 3-4 years. So you can make herbal tea which would be safe for babies. Saline water is a remedy for a clogged/stuffy nose. You can make it at home but buying it would be better. Packed saline water is made up of an appropriate/proper ratio of water & salt. Just put few drops of saline water in the baby’s nose. Don’t overdose it and give it to newborns. Give this treatment to older babies. Just put few drops & let it do its work. Tulsi & Ginger Tea is a natural remedy & you don’t need to rely on medicines. Just take few inch size of ginger & 8-10 tulsi leaves. Boil it till the water gets half of the initial. Cool it & feed your infant using a spoon. And, use spoon which isn’t sharp. Using a thick spoon won’t harm your baby if it touches its inner jaw. Tal Mishri/Palm Sugar is a remedy usually used by people of West Bengal. The remedy is best for an itchy sore throat & cold. The procedure is simple; you can add a piece of Mishri in water accompanied by Tulsi & ginger. This remedy is for infant’s at least 1 year or above. Everyone might have eaten hot khichdi while they were sick in childhood. Khichdi which is warm & soup kinda can give nutrition & comfort. Khichdi works for every age group. Cow’s Milk is a good source of nutrition but for infants, it might cause congestion. It can be given to babies above 1 year old. Cow’s milk should be reduced while cold & cough. It is recommended that you should not give your baby certain fruits like bananas, grapes, watermelon, coconut, oranges, lychee, tender if he/she having a throat infection. The recovery will be fast if fruits are avoided for a few days. Avoid sugar & sweets at least while cold & cough. Cucumber, Bitter gourd & pumpkins are not recommended to babies whose age is less than 1. These vegetables should be avoided. Avoid dry fruits & nuts because it might be difficult for them to chew. And, there’s a risk of pieces getting stuck while they cough. So better not give it to infants. Spicy food can irritate the baby’s throat & make it worse. And oil content should also be avoided because it might cause digestion issues. The curd is referred to as a cooling agent; it can balance body heat too. But while cold & cough it can cause respiratory issues. Baby aged less than 6 months should only be offered breastmilk for cold & cough. No medication without consulting a doctor is recommended. Do not use Vick Vaporub things because these medications are good if your infants have grown up to 2/3 years. If home remedies don’t work, immediately consult a doctor. Baby should be hydrated so ensure this key factor. Switch for liquid diet & few meals. Do not go for any advertisement related products. If your baby is allergic to anything, inform your doctor about it. Consult a doctor if your baby is aged less than 6 months. Ensure complete rest & sleep of the baby. Keep baby’s surrounding & clothes cleanly (sanitized). Working moms may take leave for their child & should not rely on caretakers. These were 31 Best Indian Home Remedies for Cold and Cough in infants. You may use any according to your convenience & baby’s sickness. Also, do not feed things which are not recommended. Never compromise on baby’s health. If your doctor prescribes your baby some sort of medicine, buy the prescribed one only. Do not accept medicine of same content but different company. Never take medicines so lightly. Do not force while feeding because reduced appetite is common while cold & cough. The above remedies can give relief to your baby while cold & cough. But if the problem remains, consult a doctor. Once the baby is healthy again, try to prevent cold & cough by keeping sanitation & clean environment.